Stanford Marsh Group Graphics has been authorised as a partner to supply the new Epson SureColor SC-S30600 printer aimed at print firms, signmakers, digital copy shops and repro houses for entering the outdoor print market or widening their application offering. The new Epson SC-S30600, 64in, four-colour (CMYK) printer will start shipping in March, with speeds of 7.3 to 29.4m2/hour depending on printing mode and includes a maximum quality mode which uses the printer’s full resolution of 1440 x 1440dpi. 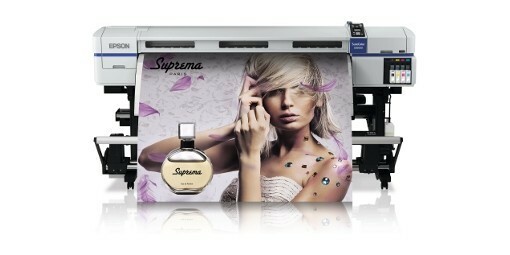 Epson UltraChrome GS2 inks have been developed to work with the SC-S30600 and Epson’s new generation of TFP printheads. Based on the GS inks used on the current GS6000 model it benefits from a new yellow formulation that is lightfast for longer. UltraChrome GS2 inks are odourless, nickel-free and require no special ventilation, allowing the SC-S30600 to be used in an office environment. The SC-S30600, can print on a wide range of media such as vinyl, backlit, canvas, wallpaper and pvc banner. Costs and environmental impact are reduced with the printer’s Energy Star-qualified power efficiency.